It’s that time of the fortnight, when Book Bingo Saturday with Amanda Barrett of Mrs B’s Book Reviews and Theresa Smith of Theresa Smith Writes has rolled around. As this is my second go around, and after this week and next fortnight, I still have ten squares left, there will be a few posts where two or more squares are included, and where books used from last time will appear in a different square, to ensure complete coverage should I not be able to read something new for any square. As the year rushes towards the final months, I’ve got many books that will potentially fill each of the remaining squares in November and December. First off. a foreign translated novel – The Distance Between Me and the Cherry Tree by Paola Peretti. The Distance Between Me and the Cherry Tree is the story of nine-year-old Mafalda, who has a genetic condition known as Stargardt disease, affecting her vision that will eventually result in complete blindness, exploring a world of disability not often seen in books, and in a realistic, and touching way, using personal experiences to do so. It is one of those rare books that allows disabled children and readers to see themselves in it, and to see that there are other disabled people out there, not just them. It makes these readers feel less alone, knowing other people live with disability whether it is the same one, or different ones. It is also about finding connections, and people who will stick by you throughout life, and help, and the reality of life and the ups and downs that affect us all. My longer review is linked here. 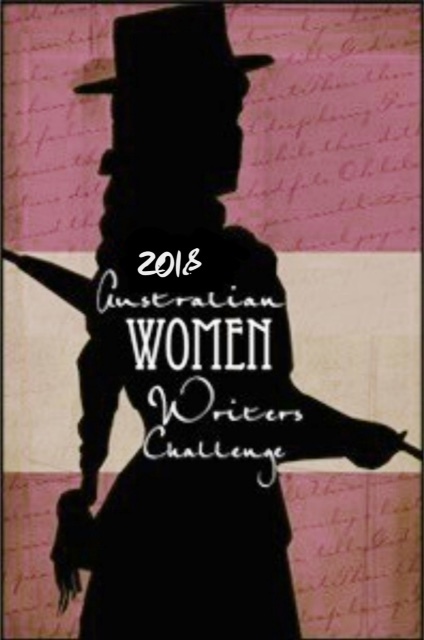 The next two books are by Australian women, and both fit into the square for A book by an Australian woman, and one fits into a book over five hundred pages. The Clockmaker’s Daughter by Kate Morton. Published on the twelfth of September, The Clockmaker’s Daughter weaves in and out of time and space, between decades and centuries, and throughout generations of people all connected in some way to Birchwood Manor. The focus is on the 1860s, and the Magenta Brotherhood – an artistic guild that hints at Pre-Raphaelite influences, and dips into the early decades of the twentieth century, and hints at a character researching and reading about Birchwood Manor, whose story bookends those f the others, and reaches a conclusion that is a little ambiguous but at the same time, delightfully executed in a way that the stands of ambiguity are what makes the overall mystery work – not everything is straightforward or clean-cut, and not every answer will be uncovered, nor will any sense of justice necessarily be dealt out – or does it need to be? Was an honest mistake made, did people just not realise? It is these unanswered questions, that, even though the mystery of Birdie’s fate is solved in a way, nobody will ever know, and in this instance, it worked out really well. My third book fills the book by an Australian woman square as well – Kensy and Max: Disappearing Act by Jacqueline Harvey. In the second book in the Kensy and Max series, the twins are in training to be spies at Pharos, and the headquarters called Alexandria during their Christmas break with their friends and teachers – who are also spies. After Christmas, they will set off to Rome with other classmates who are none-the-wiser to the spy training going on around them. Whilst in Rome, Kensy and Max receive more coded messages from their parents and are caught up in their first mission to save the Prime Minister’s son – but is one of their classmates somehow linked to the disappearance of the boy, or is it merely her family they need to be suspicious of? And which student does everyone need to look out for and avoid? Together with their new friends, Kensy and Max will solve the case – the first of many and keep hot on the trail of their missing parents. Will Kensy and Max finally be reunited with their parents? Kensy and Max is a series for all readers – regardless of age and gender. They defy gender roles and are heroes for children today, where there are many books coming out where male and female characters defy stereotypes and take on their own identity rather than the stereotypes perpetuated by earlier works, which of course, drew on the world that inspired them. Kensy is the kind of girl hero I needed growing up, to have alongside Matilda Wormwood and Hermione Granger, the kind of character who isn’t what she seems and who stands up for herself and her beliefs and doesn’t let people define her – especially those who don’t like her. She is heroic yet at the same time, can be vulnerable and needs grounding – but threaten those she cares about, like her brother, and I reckon you’d be sorry! I adore this series and I cannot wait for future books to see where Kensy and Max take us next. Thus ends my twentieth book bingo post of the year. Post twenty-one will be up in two weeks time. Synopsis: A rediscovered German classic novel from 1942, The Seventh Cross is both a gripping escape story and a powerful novel of resistance. Seven prisoners escape from Westhofen concentration camp. Seven crosses are erected in the grounds and the commandant vows to capture the fugitives within a week. Six men are caught quickly, but George Heisler slips through his pursuers’ fingers and it becomes a matter of pride to track him down, at whatever cost. Who can George trust? Who will betray him? The years of fear have changed those he knew best: his brother is now an SS officer; his lover turns him away. Hunted, injured and desperate, time is running out for George, and whoever is caught aiding his escape will pay with their life. The Seventh Cross powerfully documents the insidious rise of a fascist regime – the seething paranoia, the sudden arrests, the silence and fear. The Seventh Cross is set in the mid-1930s, following the rise of the Nazi Party and Hitler in Germany, in the build-up to war. Early concentration camps, such as Westhofen hold political prisoners. At the start of the novel, seven prisoners have escaped the camp, and the SA and SS officers of the new regime are tasked with hunting them down. Six are caught – one remains on the run, and continuously evades capture – and so, his pursuers decide they will use whatever means necessary to take him captive again. What follows is the prisoner – George’s – attempts to evade capture and reconnect with his former life, but at the same time, wants to keep those he knew before he was taken away safe – his family, his friends. And after his time in the camp, George doesn’t know who to trust. will his brother, now an SS officer, turn him in? His ex-wife, Elli, is constantly being watched – what will happen to her? Anyone who dares to help George will pay the ultimate price of the Nazi regime – death. of the Nazi regime, as witnessed by the author, as she fled first to France, and then to Mexico in 1940, after the Nazis occupied France during the war. During her exile, The Seventh Cross was one of the books she wrote – and there were four manuscripts, according to Seghers: one was lost by a friend who was also escaping the Nazis, another destroyed in an air raid. A third was found by the Gestapo, whilst the fourth reached her publisher in America before she fled her home. Rather than examine the impact of war or the well-known concentration camps and extermination programs of the 1940s, Seghers looks at how ordinary Germans responded to the Nazi regime, from those who followed it didactically and enthusiastically, to those of indifference and again, those who stood up for their beliefs – the good, the indifferent and the bad. It examines what ordinary people had to do to survive and how they did it, and also, what they would do to help George, at great risk or cost to their own lives as they tried to hold onto a semblance of humanity in a period of time that was becoming darker and darker every day. Seghers wrote what she experienced and witnessed – making it all the more powerful, and though it is fiction, an important historical document, as it shows how everyday people were forced into making choices that they might not ordinarily have made in order to survive, and a confrontation of their fears and mixed loyalties that would eventually lead many into the depths of hatred and genocide that would come to shock the world when the truth was discovered. Reading about what lead to the war, the ghettoes and the extermination of millions of people is just as important to understand as the rest – how Germany got there was made up of many factors, and The Seventh Cross shows how this happened through the eyes of someone who witnessed it first hand, ensuring that the story is not easily dismissed and one that should be read and remembered today, so the rise of someone like Hitler can never happen again. Written in 1942, and translated into English for the first time since, The Seventh Cross has not been in print in the United Kingdom since 1942 – 76 years.